The 3 Secrets the Oil Industry Doesn’t Want You to Know! 2) Plots of land were already scouted by oil companies before the fall of Saddam Hussein. This may come as no surprise to many, especially those into oil conspiracy theories, but new evidence suggests that there were secret memos shared from the U.K. foreign office meeting with BP. The memo quotes that BP saw Iraq as a giant oil prospect and that it was anxious and desperate to get to it. The long-term earning potential was certainly seen as enormous. The only problem was the political unrest. 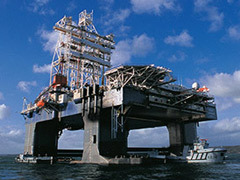 The French giant Total and the Russian Lukoil had also been negotiating future projects long before the fall of Saddam. This is one of the many untold oil secrets. The oil change light is flashing again! 1) Changing the oil in your car. This one can easily be called one of the oil conspiracy theories, because everyone believes this myth like it is a sheer fact. The truth is though that the oil in your car does not need to be changed every couple of thousand miles like they tell you. Oil is oil – it doesn’t break down or decrease in quality. The only thing that happens is that it gets dirty and needs a little clean. If you clean out all the particles that have contaminated the oil, you could use it for at least 10 times longer than you normally do. Of course, this is one of the biggest oil secrets in the industry – and for a good reason! No one wants you to suddenly stop buying new oil and start reusing the old one. Imagine if everyone started doing that – where would the profit margins of the oil giants be then? Probably only slightly lower, in reality. 3) The statistics of the oil industry are constantly full of omissions and sometimes outright lies. This is especially true when it comes to talking about “reserves”, which are the estimates of how much oil is left in the known reservoirs. These numbers are constantly “patched-up” by oil companies, the most known one of which is the Middle East reserves. The remaining amount of oil there is overstated by some 110 percent. For other reserves the figures remain the same for many years, which is simply impossible. There are many reasons why they must either be decreasing or even increasing, many of which are geological. If the figures stay the same, then it is valid reason to believe that the oil industry is keeping something from you. Posted on May 18th under Non Renewable Energy Sources.